Rev 13:18: Here is wisdom. Let him that hath understanding count the number of the beast: for it is the number of a man; and his number is Six hundred threescore and six. "The Hidden SWEEET Truths About 666"
How to compute the "Skor Vibration," tri-vibe & reverse-vibe, and thereby expose what's hidden. 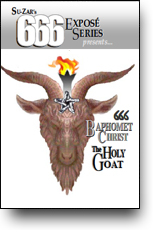 666 is the tri-vibration of title "The Holy Bible". 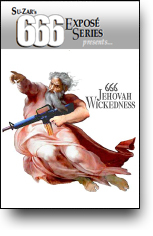 Guised 666s throughout the Bible. 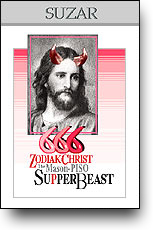 The 4 chief "Beast Flag Numbers"
666-Zodiak Christ: The Bible calls Jesus Christ ALL the Zodiac signs: Aries ("Lamb"), Leo ("Lion of Juda"), and so on. 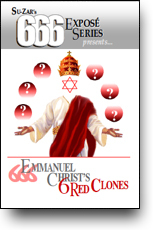 View many of Jesus Christ's 666s in 666 Emmanuel Christ. The Bible, Koran and Torah are Masonic to the bone. 666-MASONity composing Islam, Hinduism, Christianity, Computer HiTech. 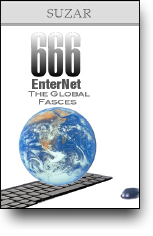 666 Internet, 666 Islam, 666s in the US Dollar bill. Hidden 666-biblical evidence that the MasonGod JAHbulon /GAOTU is the Secret God of the Bible, Koran, Torah and Vedas. 666 in Masonism.